Nectar Collectors are handheld water pipes. 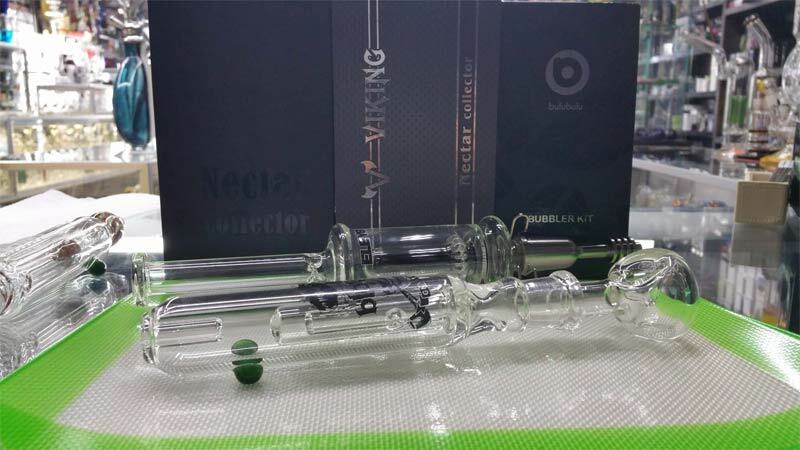 While most nectar collectors are used for dabbing concentrates, we also sell versions that accept dry herbs. These hand pipes are all about getting the smoothest smoking or dabbing experience and we offer alot of different brands and styles. The best smoke shop to buy a nectar collector in Kansas City can be found @ 3429 Lets Vape & Street. When it comes to glass blowing durability and designs, infamous glass is second to none. 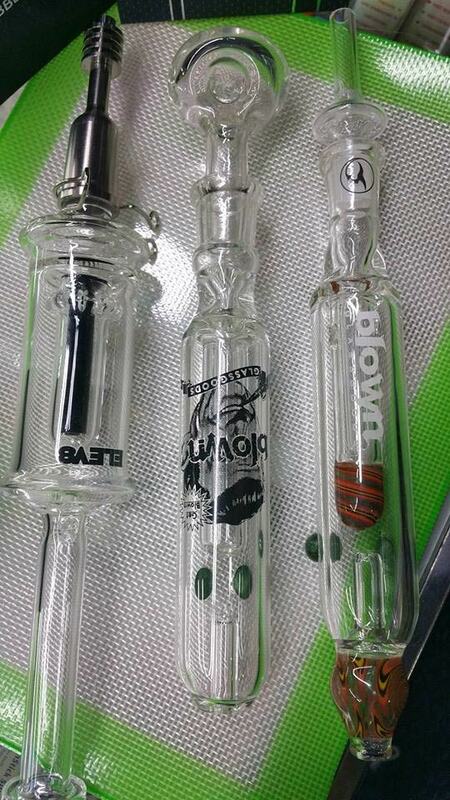 We offer several dry herb nectar collector designs from Infamous Glass. BLOWN is one of the most well known brands in the glass blowing industry. We offer many amazing nectar collector designs from BLOWN. 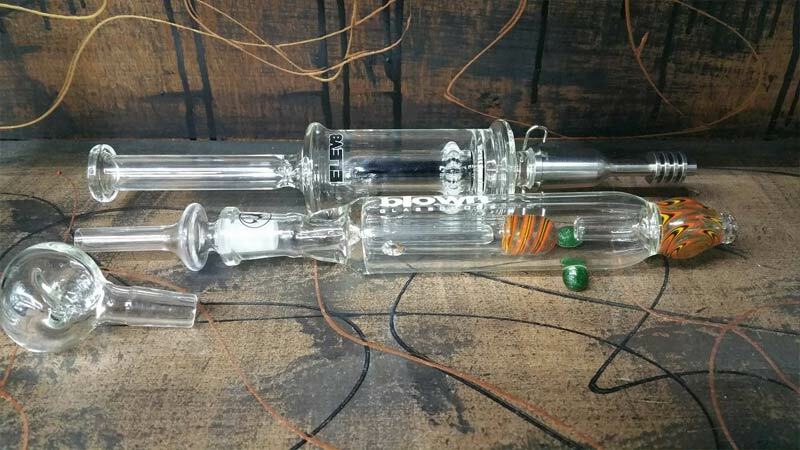 Elev8 is a very popular brand of blowers who specialize in different types of dabbing rigs. Some of the most technologically advanced designs in the nectar collecting industry come from Elev8. Featuring Switch Hit Technology™, this kit gives you the option of using an ultra-portable version of the classic Nectar Collector or, with a quick cross over, the freedom to Switch your hit and change the base to go electronic with a vaping pen. The Vaped Micro Nectar Collector gives you the best of both worlds with quality you can trust. As an authorized Dealer to all the top nectar collector brands, we will meet or beat the price of any model in Kansas City. We offer lots of selection and quality and can help anyone learn to enjoy the benefits of a new nectar collector. Our goal is to become known as the best place in KC to buy a nectar collector in 2016.